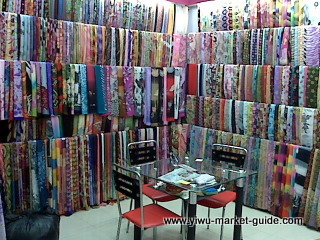 Location(s): 4th floor, district 4, Yiwu international trade city. Opening hours: 09:00-17:00, 7x365, except a 15-day-close down during Spring Festival. #5 Products origin: Hangzhou, Tonglu, Jiande, Linping, Huzhou… mostly from Zhejiang and Jiangsu province. #7 mainly exports to: USA, Japan, Korea, South Asia, Europe, and Russia. P.S. Above data is either sited from many other resources or on-site verified by Yiwu-market-guide.com., can only serve as references. We’re not responsible for their accurateness. Most of the suppliers here are only working in a "sample-and-order" way. MOQ is usually about 100 pcs per design per color. About 35% of the shops here can offer stocks at some extent. The stocks are either out-dated designs or the left-overs. Few shops can offer stocks for those most popular ones in production. In these cases, you can pick up 12 pcs or even 1 pc if you insist. #1 Smoking is inside/around shops is an absolute big “no-no”. You have to go to smoking room. #2 Ask for permission before taking photos. 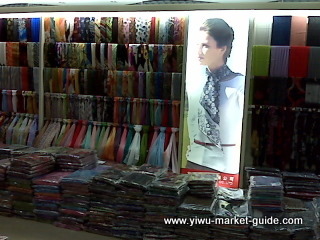 >> Return to Yiwu Market from Yiwu scarfs and shawls market. 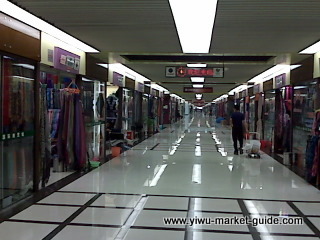 >> Back to Yiwu market guide homepage.